even in hot weather. Containers are specially designed to arrest sparks and corrosion from acid. 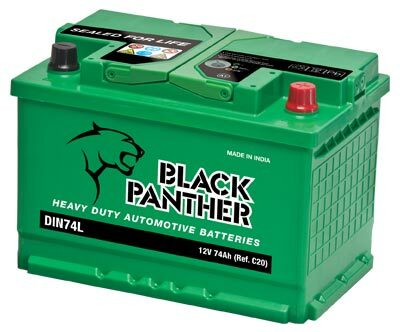 Black Panther is shipped as factory charged to avoid top-up or bench charge before use. Installing Black Panther under the hood adds excellence in driving performance of the vehicle. Ideal power solution for every class of vehicle.